If your business involves managing a call center, this can be a very challenging environment to manage. Your job revolves around keeping your agents properly motivated while also ensuring that they hit the goals and deadlines that you lay out for them. In this article, we will be discussing the habits that you can adopt to ensure that you stand out from the crowd and lead your team to success. Your agents are the ones who are at the forefront of your business, so it is vital that you keep them on side with effective communication. Listen to them and they will tell you what your clients think is most important, as well as their common causes of complaint. 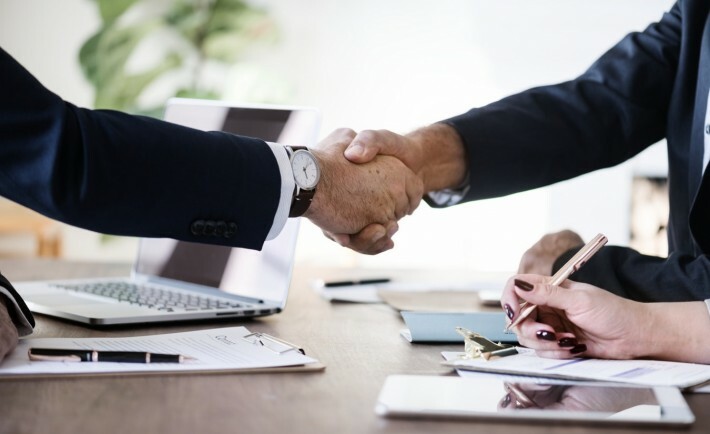 This way, you will be better placed to improve your current processes and practices, and you will also make sure that your agents feel listened to and that they play an important role in the success of your company. Technological advances continue coming thick and fast, and you need to ensure that your business is at the forefront of embracing these changes. There is so much great field service software out there that can improve your business practices and efficiency levels. Ultimately, you need to keep a competitive advantage over your nearest rivals, and technology is one of the ways that you can stay one step ahead of the curve. There is no doubt that agent retention is one of the biggest challenges facing every call center manager. Call centers are renowned as being difficult places to work, so when you have high-quality agents, you need to keep hold of them in any way that you can. Try to implement agent engagement programs and reward systems which are designed to help do this, as well as encouraging them to do better in customer service. How often do you pick up a headset yourself to see what it is like acting as an agent? If the answer is a long time ago or never, the time has come to give it a go. You will get a much better idea of the challenges that your agents face on a regular basis, and this may even lead to you refining and updating your strategic thinking and approach. You may also help to gain the respect and appreciation of your team. Continual improvement is one of the hallmarks of a great call center, so provide the training sessions that your staff need to improve and develop their skills. Demonstrate how things should be done and what you would like to be changed, as well as the reasons why. Getting into these five habits should give you the basics that you need to manage a call center successfully. Ultimately, you need to keep your agents on side, improve your processes and embrace the latest technology. 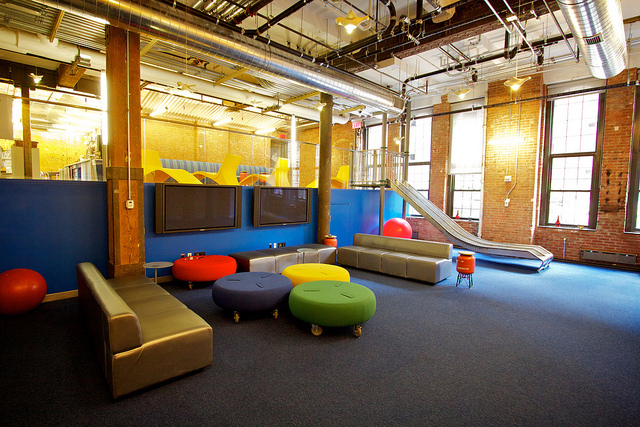 If you haven’t heard about what Google’s offices are like, it is like the magical wonderland of the office world. It is kitted out with absolutely everything that you could wish for with an office. It is part of the reason why working for Google is such a sort after job, they just look after their employees in so many different ways. But can you get your office like the one at Google? Probably not. Their offices are huge, and they have thousands of staff all over the world, and they’re a billion dollar company. But you can take some of the principles and use them in your own office to make it so much more fun and relaxed. Here is how. Google always has pretty alternative furniture. For one, it is always colourful and comfy, as is the whole room. If you want to get that Google vibe, you need to try and get the room as bright and as colorful as possible to begin with. Use a range of different colours like light blues, greens, and reds. It’ll help to perk the room up a bit rather than just staring at the same four white walls. You also need to try and create as much space as possible so you haven’t got that cramped feeling going on. You can also purchased used office furniture to help save a bit of money. If you’re buying furniture for a large office of people we know how expensive it is going to be. But just make sure it’s as comfy and quirky as possible. One of the main reasons why employees find it so hard to work is because they’re spending most of the day wriggling around trying to get comfy. Make sure they either have built in pillows, or you’re giving them pillows to sit on as well. Mood boards is something a lot of companies should start using. Not only mood boards, but idea boards. It allows your employees to convey their thoughts and feelings about the day. This is something not a lot of companies actually do nowadays. It could open your eyes to things that might need changing about the company that you may not have thought about before. Plus, your employees thoughts and feelings should always be the most important thing on your mind. Nap pods are something Google do to try and keep their employees fresh. Many moons ago before you were a business owner, you know for a fact you would get to that part of the day where you could so easily drop off. Your eyes might have been closing and your head rolling out of your hands, quickly snapping you back into action until two minute later where it would happen again. Google have realised that during this time the amount of work done drops to almost nothing, so giving them a quick refresh allows them to come back into work ready to actually work. Whilst we know a lot of you will be against letting your employees nap, you could at least give them an area to chill out and relax to refresh their minds. Preparing a good portfolio that reflects your achievements and strengths is just the first step to finding a new job. The job market has thousands of professionals with similar credentials as you. Some have more experience than you do. Hence, you need to get creative to get a new job fast after graduation or losing your previous job. 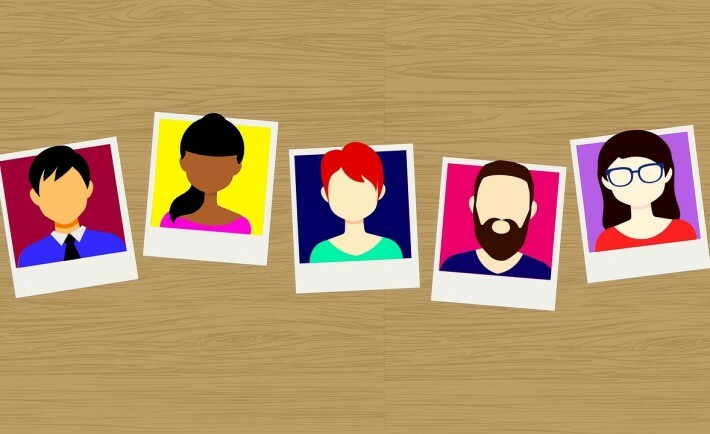 Here are some creative ways that will help you get a job faster. Most job seekers look for adverts for job opportunities and then send their applications. Be smart and use a different strategy. Identify companies that you would want to work with and then find a way of getting any job in those companies. Establish relationships with people who are already working where you want to work. Such people can notify you whenever a new job opens up. Do not shy away from taking a lower position from a good employer. Most companies provide their contacts on their websites. You can use a service like theemailfinder.co to verify contact emails and then send an application. The current craze is to do everything on the internet. If you have been sending online applications with no success, try something different. Go back to the old methods of getting a job like browsing yellow pages. Some family-owned companies still use the old methods to find new employees. The job you are looking for could be in your neighborhood. Walk into the organisations that you admire and ask for a job. Even if they are not hiring at that time, they will remember your portfolio when they need a new employee. When job seekers hear of networking, they immediately think of their former classmates or their social groups. You need to grow your network beyond your peers. Do not wait until you are employed to attend high-end events. Register for conferences in your field while you are still looking for a job. Such events are great opportunities to interact with potential employers. Approach the speakers after their talks and express your interest to work with them, even as an intern. Your priority should be on getting an entry point to your dream organisation. If you go the conventional way of looking for a job, your application will always end up on the HR’s desk. Chances are that all the applications you been sending are lying on a desk waiting for the HR to make a decision. Human resources managers receive tons of applications for different positions. It may take a while before he or she can decide to grant you a job. If you know a relative, friend, or any connection in the organization, ask the best person to contact for a job. You could talk to the supervisor or a higher-ranking manager directly about your application. Getting a new job in a crowded professional is a daunting task, especially if you have limited experience. You must use a different approach from your peers to get ahead. Be consistent with your strategies until an opportunity opens up for you. You have finally started up your own business after months of planning, working hard and setting everything up. You are ready to conquer the market with brilliant customer service, a second-to-none product and a fantastic attitude… but you feel like you’ve forgotten something. Health and safety is boring and, frankly, no-one ever wants to talk about it. However, it is incredibly important for every business to set out some clear guidelines for their staff to ensure that everyone is safe, healthy and happy in the workplace. You might be used to working as a lone entrepreneur, but now that you have a staff, you need to shift your focus and look after them too. Most aspects of health and safety won’t come with a financial implication but ensuring that your purchase the correct equipment for your staff to work safely is vital from the outset. You need to make sure that any risk is carefully managed and that you are within industry regulations for every piece of equipment. The best equipment isn’t always the most expensive, though. You can – and should – still aim to get the best for your money. For example, if you run a business that includes welding as a service, you could look at sales from weldingoutfitter.com to get the best welding helmets for your workers. We tend not to think about fires since they are so rare, but fire safety is absolutely paramount in any setting. This means that you need to ensure that all your staff are made familiar with evacuation procedures and that fire doors are clear of any obstacles. It’s also a good idea to have a poster detailing the procedure in an obvious position in your office or on site to act as a reminder. As well as fire safety procedures, you should also have a more general code of conduct that every member of staff is aware of. Your code of conduct should contain guidance for all your staff on how to handle everything from bullying to ethical working. Think of it as a promise everyone makes when they join the company about how they agree to behave. This is an overlooked area of health and safety because a lot of people assume that colleagues will behave properly without prompting. Unfortunately, the workplace is rife with potential issues from sexual harassment complaints to accusations of bullying. Having a document that outlines exactly what the rules are, how to go about raising an issue and how an issue will be handled should make dealing with any social problem much more clear-cut. If nothing else, your code of conduct will ensure consistency in how matters are handled. The reality is that you probably won’t have to worry about health and safety until a problem comes up. But, when health and safety is taken seriously and measures are put into place, you and your staff can work much more happily together, knowing that there are rules and procedures for every eventuality. There isn’t a person in the world who doesn’t worry about something, although some might worry more than others. If you run a business, you might not hear much about the things that worry your employees, but you can guarantee that they are there. While you might encourage keeping personal and work lives separate, people’s personal problems can unfortunately affect their performance at work. 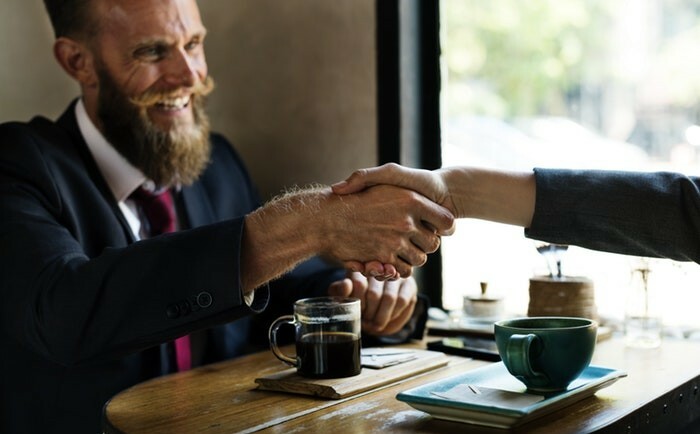 If you want to be a compassionate employer, while also making sure your employees do their best work, you should be aware of what these problems might be and how you can help with them. Being ill or sustaining an injury is something everyone has to deal with sometimes. While a broken leg or a cold might not impact your business hugely, more long-term issues can. And it’s not just your employees’ own health that could affect them at work, but the health of their friends and family too. To help tackle this issue, you need to consider how you can accommodate people dealing with chronic illnesses or a family member who is ill. One thing that can help is to allow flexible working schedules and even remote working, which makes it easier to handle doctor’s appointments and the like. Adequate medical coverage is also important. Money is one of the top things that people worry about. It keeps people awake at night and can always be in the back of their mind. If an employee is worrying about money, they could be stressed and distracted while at work. 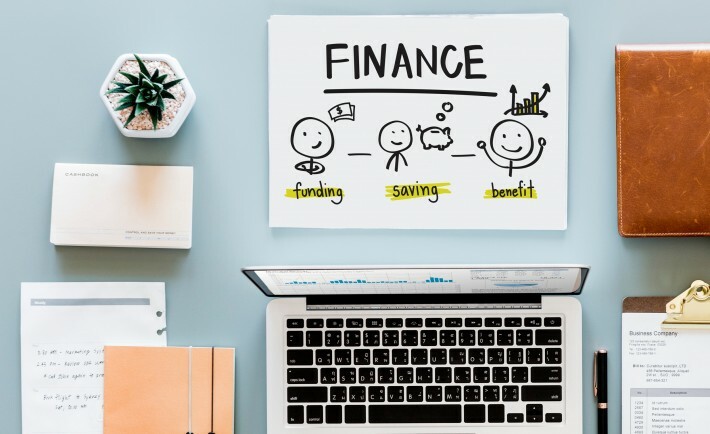 Assistance with managing finances is one of the employee financial perks you could offer, which can help employees deal with their money worries. Better financial education and access to support when they need it can give your staff members what they need to be more confident managing their money. Personal relationships can also have a huge impact on how people are at work. Whether it’s a relationship with a spouse, a child or a friend, when people are struggling with personal relationships, it can affect them greatly. Often, someone might need to talk or feel that they have the support they need. Some businesses have HR departments that might be equipped to provide assistance with personal problems such as these. Others might use employee assistance programs, which are designed to provide counseling and support to people who might need it. The issue of job security is a concern for many people, and it concerns into money worries too. Some people might be worried if they’re unsure of the future of the company or their position in the company. You can try to be transparent with your employees about what’s happening with your business, but it’s also important not to be too open. There’s no need to mention people losing their jobs unless you have good reason too. When people do leave the company, it’s wise to meet with the remaining employees to provide reassurance. Personal concerns can affect your employees at work, which has a knock-on effect on your business. If you want them to be happy and work hard, you should take care of them. It is predicted that in the US, in two years time, the number of businesses employing contractors and freelancers will rise to 40%. And it is easy to see why; there are many benefits to hiring contractors and freelancers. But if a company only hires one or the other (contractors or full-time employees), then are they missing out on anything? If you’re starting out in business then this is a really valid question to think about. In order to understand which will benefit your business more, then you need to understand how both of them work and the pros and cons of each of them individually. So here is some more background information about them both, to help you make a more informed decision for your business. Understanding the legal framework behind both types of working will help you to make a decision, for sure. If you need someone all of the time, then you could end up paying less in hourly wage, but not in other benefits that are accountable to you as an employee. A full-time employee doesn’t typically set their work hours. You would tell them when to work and there isn’t too much flexibility around it. A contractor would set the times that they are able to work, and that is that really. As an employer of full-time employees, you are also responsible for things like training your team to be able to do the work that you want them to do. But if you hire contractors and freelance, then you don’t need to train them to do the job. If you needed a web designer, then you’d assign a contractor to do it in the way that you want and that is that. So it can be quicker if you don’t have employees that know how to do it. The same goes for things like construction. If you click here, for example, you may be able to see that you can hire construction workers to get something specific done and then that is all. Hiring a team full-time to do the same job would mean paying them even when they’re done and are waiting for the next work assignment. As an employer, you would decide the workday for your team of employees and set what needs to be done and when. But with contractors and freelancers, they will work with the tie that they have and organize their own work day. As long as deadlines are set, then they can do whatever hours to get it done for that time. So for freelancers and contractors, that does offer greater flexibility. As an employer, you will also be responsible for the wellbeing of your team and providing somewhere safe for them to be. Contractors and freelancers will often be responsible for their own workplace or office, unless they come on to your premises. Deciding which type of employer you will be can be key to your business success. You don’t want to hire a full-time assistant if you’re not yet at the point of needing one all day every day. So it may change as your business progresses. But getting it right can save you time and money. Employee gossip is often seen as nothing but a negative. In some regards, that is absolutely accurate. 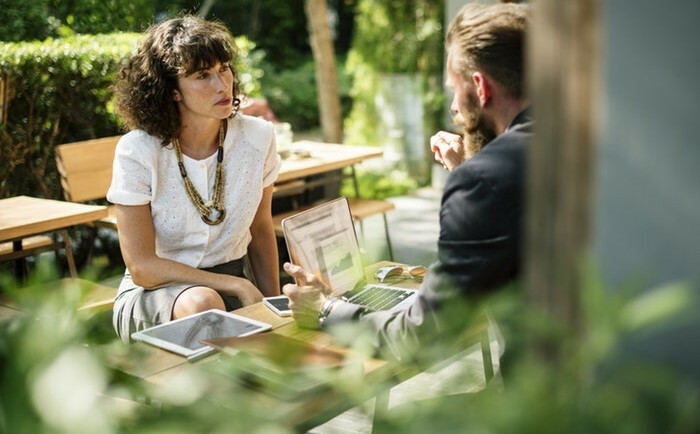 If employees are spending their time talking to one another rather than completing the work required of them, then your business is going to find itself suffering from lost productivity issues. If this gossip is pernicious and even nasty, then it can disrupt the entire working environment. So it’s fair to say that workplace gossip is often fairly maligned, and should be considered a threat to your business. However, this is not always the case. Sometimes, employees talking among themselves and engaging in gossip can actually be beneficial. Here’s how. Your employees will have a decent idea of one another when they have been working together for awhile. They will have figured out who is a go-getter, who can be relied on to deliver work on time, and — most importantly — who is something of a slacker. As a business owner, it’s genuinely beneficial to you to know who has a reputation for laziness and underperforming in the tasks they are given. 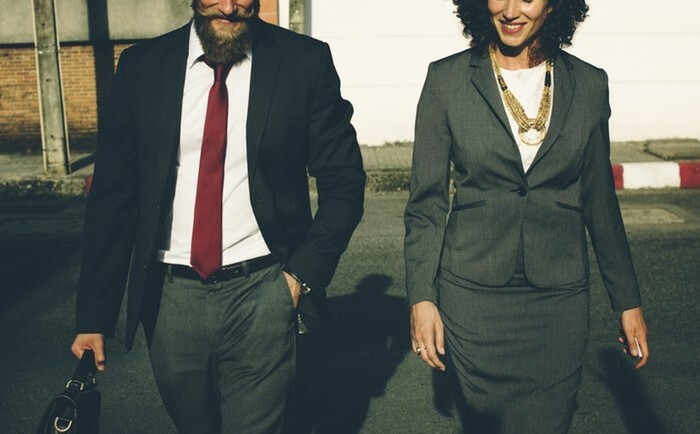 While employees are unlikely to approach you directly to complain of a colleague, by keeping your ear to the ground, you should be able to pick up the general feeling that staff members have towards one another. If your employees have recognized, en masse, that one of their number is not contributing as they should, then you need to know about the situation so you can take remedial action. Any business owner knows they have to dedicate their time to ensuring that all the necessary health and safety requirements are met in their workplace. This means engaging safety consultants and implementing their suggestions on a regular basis, but it also means listening to your employees. If your employees feel something about your workplace is not safe, they are far more likely to highlight these concerns to one another than take them directly to you. You may find that a certain section of your office has a bad reputation among your staff, or there’s a general consensus that the air quality in your office isn’t what it should be. 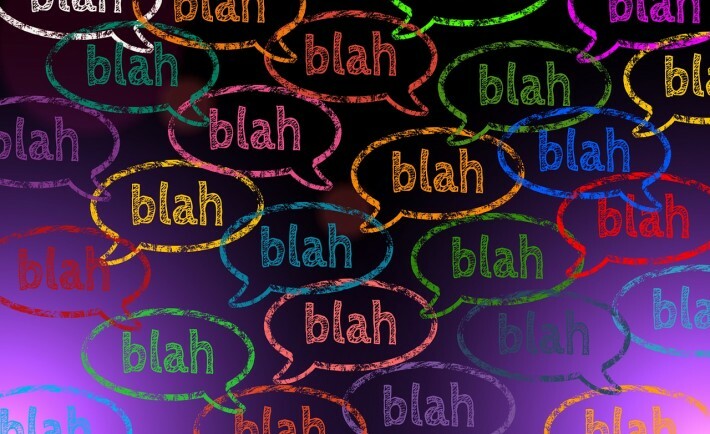 Sometimes, listening to office gossip is the only way to discover these important pieces of information, as no employee likes to take complaints directly to the boss. If you listen out for these generally-accepted and discussed complaints, you could identify areas of concern in your workplace before they become genuinely hazardous. Managing the workload that you place on your employees is vital for the health of your business. 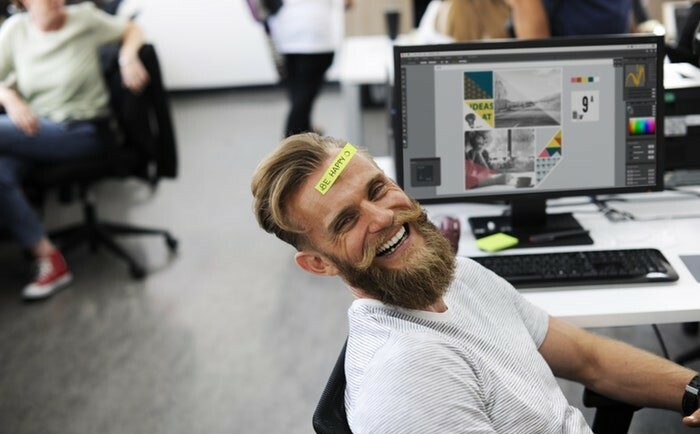 If employees become overworked, they are unlikely to mention this to you– no employee wants to put their head above the parapet and complain about what is being required of them. However, employees are likely to discuss strenuous workloads with one another. If you listen out for this kind of talk, or hear rumors swirling of people struggling to cope with demands on their time, it will stand you in good stead if you examine the issue and take remedial action where required. While office gossip can be problematic, it can also be a useful insight into what’s really happening in your business. Listening and paying attention to the rumor mill can benefit your business, and allow you to implement changes that can ultimately be useful to all. Your employees are the most powerful tool in your business’s arsenal. 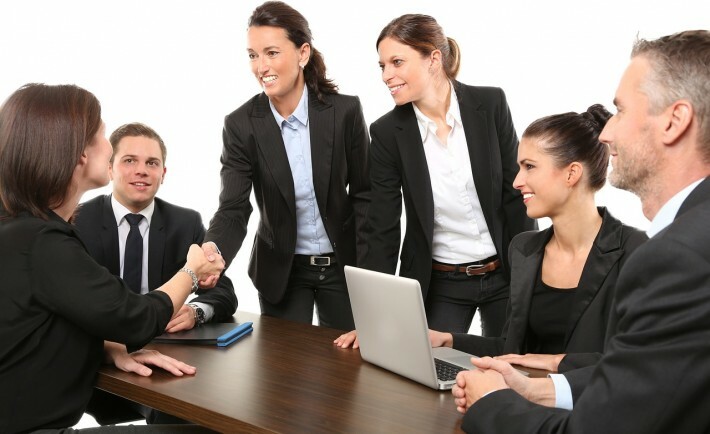 Their importance for the overall success of your business really cannot be overstated. Sure, there are a lot of things that go into making a business successful, but your employees are the ones who are able to take your ambitions for your business and actually put them into practice. Without your employees, your business could never be the success that you want it to be. Which is what makes it that much more of a shame that so many business owners simply aren’t taking the right level of care of their employees. If you’re not able to provide the support that your employees need, you’re never going to be able to get the best out of them. With that in mind, here are some of the most important ways that you need to be supporting your employees. Employee development is one of the most important things that you need to think about as a business owner. Your employees aren’t just cogs in the mechanism of your business; they’re also professionals who want to improve and develop their skills. You need to be able to provide them with the tools to do that. Things like employee training and sending them on outside courses to improve and learn new things are crucial to their development. Not only will this help them but it will also be a huge benefit to you as well since they’ll bring those skills back into their work. Of course, it shouldn’t come as much of surprise that your employees are going to be somewhat financially dependent on you. After all, the salary that you pay them allows them to afford everything from a roof over their head to any luxuries that they want. However, you need to be sure that you’re taking the right financial care of your employees. This can mean everything from a fair, living wage to employee financial perks. By being able to support your employees on a financial level, you can be sure that they’re able to focus and aren’t spending their days worrying about their bank balance. It’s crucial that you remember that your employees are not just a tool for your business to use. They’re people. People with individual needs, desires, and emotions. If you’re pushing your employees too hard, then they could end up burning out which is bad news for everyone. It’s incredibly important that you never forget that your employees are individuals who you should support on a personal and emotional level just as much as you do on any other level. If you don’t, you could end up with employees who come to resent your business and even quit. 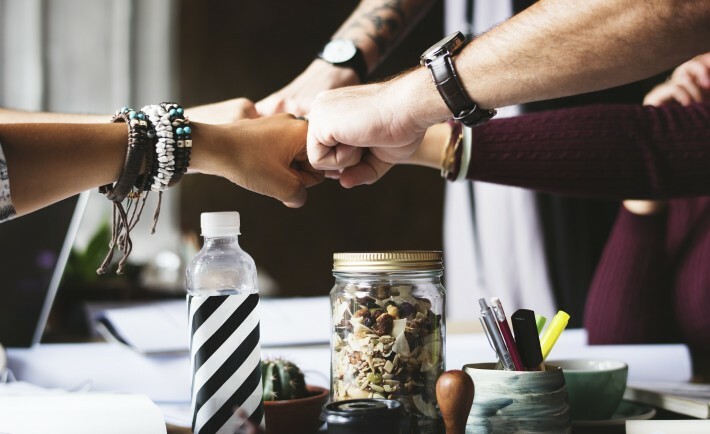 It might seem as though doing all of this is going to be a lot of work, but the truth is that you need to put in this amount of effort if you really want to get the most out of your employees. Remember, if you support them and put effort into their well-being, your employees are going to be far more likely to return the favor.